IT’S time for a fact check for those who love to sprinkle some extra salt on their food. 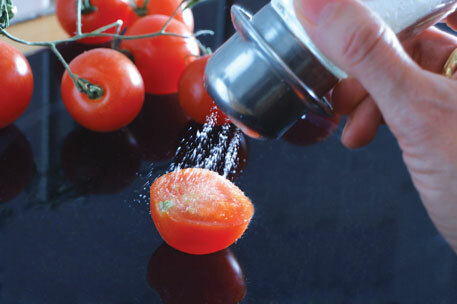 Three studies have found eating excessive salt may trigger autoimmune diseases, like multiple sclerosis, psoriasis, rheumatoid arthritis and ankylosing spondylitis. In these diseases, body’s immune system turns against healthy cells along with diseased ones. The research was partly inspired by the observation that eating the typically high on salt junk food sold at major fast food chains triggers the formation of inflammatory cells. For the studies, published in Nature on March 6, researchers from Yale Medical School, Harvard Medical School and the Broad Institute of the Massachusetts Institute of Technology (MIT), in the US, explored the causes of autoimmune diseases. They focused on Th17, antibodies that cause inflammation and protect the body from microbes but trigger autoimmune diseases if produced in excess. “We wanted to understand how the body gets the right kind of immune cells in the right amount, and how it keeps those cells at the right activity level so that they are not too active but also not underactive,” says Aviv Regev, a Broad Institute core member and an associate professor of biology at MIT. To understand this, the researchers decided to identify the gene responsible for Th17 production. They eliminated several genes from mice cells one by one and assessed the impact of this on the formation of Th17. They found that inhibiting SGK-1 gene stopped the formation of Th17 antibodies, implying that this gene is solely responsible for over or under-production of these antibodies. Next, the researchers fed some mice with excessive salt and some with normal levels of salt. They observed that mice fed with excessive salt developed much severe autoimmune diseases and at a much faster rate than those fed with normal levels of salt. This showed that high salt intake somehow triggers the SGK-1 gene to overproduce Th17 antibodies, which in turn trigger autoimmune diseases. It has always been thought that genes and certain environmental factors trigger autoimmune diseases. But the studies add another dimension to the belief. Though salt alone might not be the culprit, it definitely is one of the factors. “These are not diseases of bad genes alone or diseases caused by the environment, but diseases of a bad interaction between genes and the environment,” says David Hafler, chair of the department of neurology at Yale University and senior author of one of the studies. Salt consumption in India has traditionally been much higher than what the body needs. National Institute of Nutrition (NIN), Hyderabad, recommends not more than 6 g of salt per day per person. According to the institute’s data average per capita consumption of salt in India varies between 5-30 gm per day. “There is enough evidence linking high dietary salt intake with high blood pressure and hence cardiovascular disease,” says Sailesh Mohan of the Delhibased advocacy group, Public Health Foundation of India, emphasising on an urgent need of policy measures to cut down population salt intake.